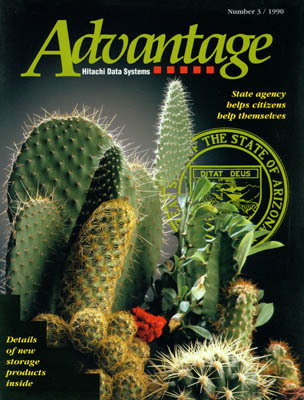 Hitachi Data Systems corporate magazine - Cover story tells how the State of Arizona used Hitachi mainframes to serve social services needs. Design by me and photo by my friend and associate Ed Garrigues. 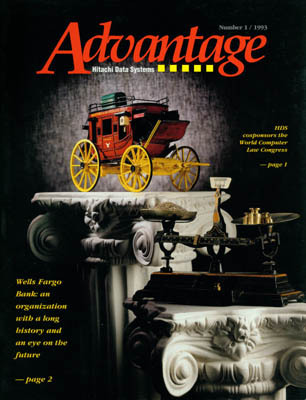 Hitachi Data Systems "Advantage Magazine" - In addition to thoroughly modern data processing procedures, Well Fargo Bank is a repository of some fascinating history. 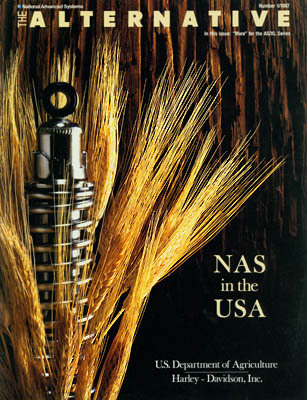 Publication Design - NAS supplied computers to both the Department of Agriculture and Harley Davidson motorcycles. Pardon the pun, but that is a shock absorber wrapped in a shock of wheat. I edited and designed the magazine and art directed the photo. Swedish data processing giant DAFA - The data processing manager was a jazz musician as well as an IT guy. 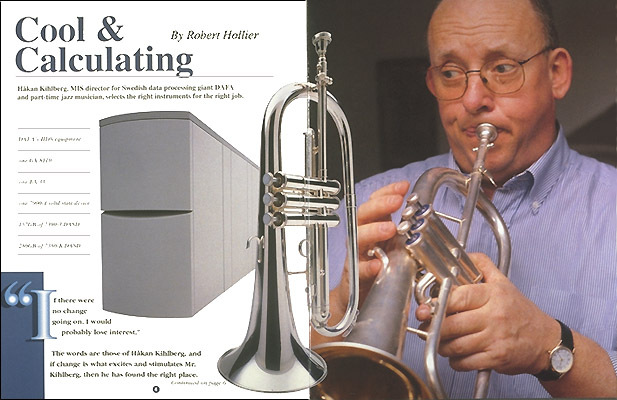 He played the good sport and blew some blue notes to illustrate this article on Hitachi computers. 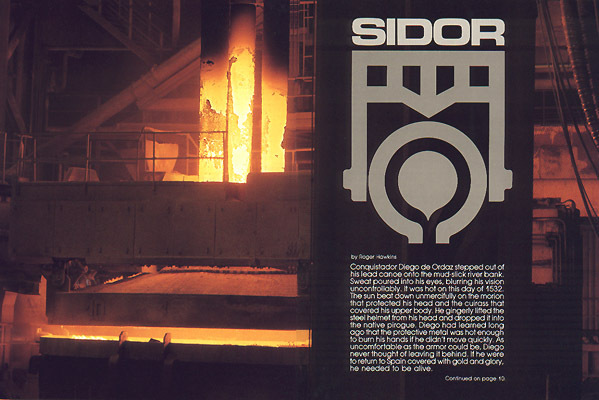 "Alternative Magazine" for National Advanced Systems - Sidor of Venezuela has the largest steel plant in the southern hemisphere. 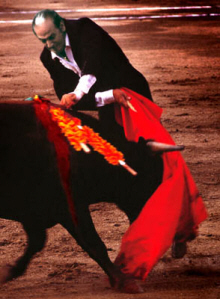 While on assignment in Venezuela to cover Sidor's use of Hitachi Computers, I stopped by the bull fights with my father-in-law, Israel Payares. Siderugica del Orinoco - Sidor (Siderugica del Orinoco) on the Orinoco River in Venezuela is the largest steel making plant in the Southern Hemisphere--hotter than the hinges of hell.Hitachi computers were used to not only control the plant but the Guri dam that generates the electricity also use Hitachi turbines. 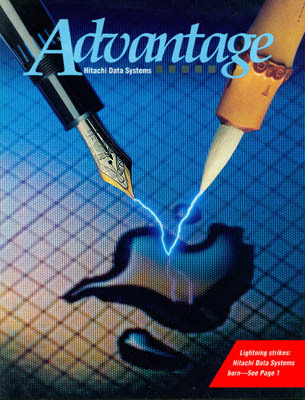 First Issue of the Hirachi Data Systems magazine - When Hitachi and Electronic Data Systems created Hitachi Data Systems from the National Semiconductor spinoff National Advanced Systems I created the new corporate magazine the "Advantage." Computing in the land down under. 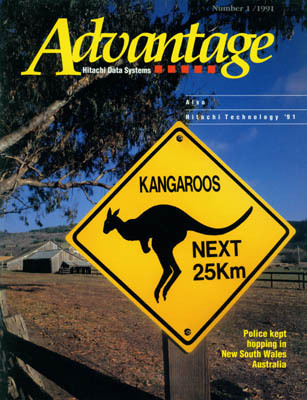 - Designed this cover to go with a story about how Australia's New South Wales police department used Hitachi Equipment. Did have the budget for a trip to NSW so our office there sent me this sign. 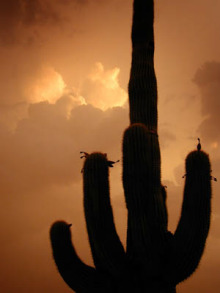 This outback scene was shot between San Jose, California. Roger Hawkins designer/art director/editor and Ed Garrigues photographer. Fast growing Eucalyptus trees are native to Australia and were imported to the US by a fast buck artist who didn't know they produced structurally useless wood. Soy based inks from Sun Chemcial - Hitachi supplied computer technology to Sun Chemical an innovator in environmentally sensitive soy based inks. 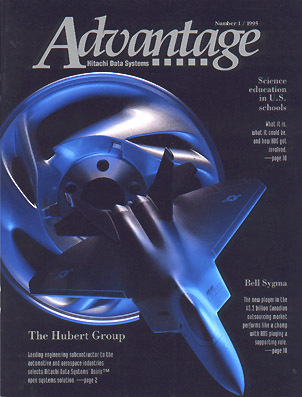 Corporate Magazine - Hitachi Data Systems - The Hitachi Data Systems "Advantage" magazine's role was to make clients and potential clients comfortable with the community of informed users that shared their product choice. 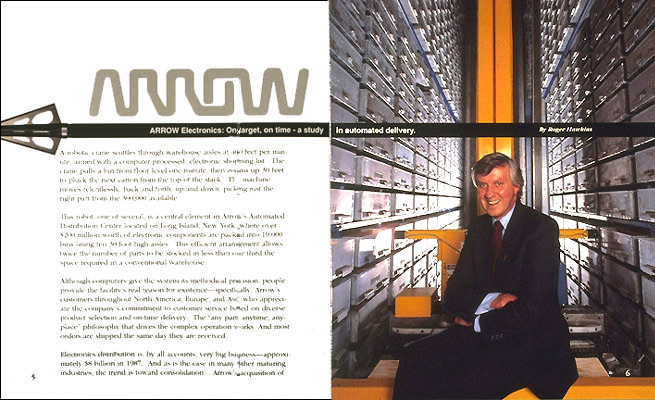 Hitachi client Arrow Electronics - The data center manager highlighted riding the parts retrieval robot at Arrow Electronics provided the perfect visual keynote about an innovative company. 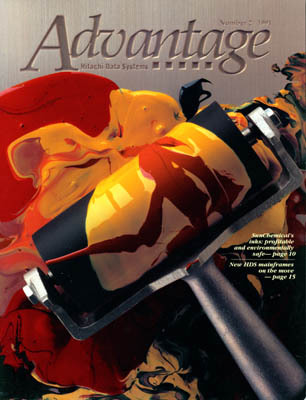 Roger Hawkins -writer, editor, and art director. CRIMS& CPUs in the land down under - When commissioning a story on computer use at the New South Wales police department I heard about Jack "Chow" Hayes and Dulcie Markham who were the Bonnie and Clyde of Australia. 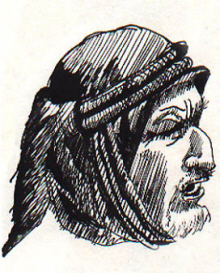 Writer Graeme Philipson wrote the only story I ever ran without a single edit. 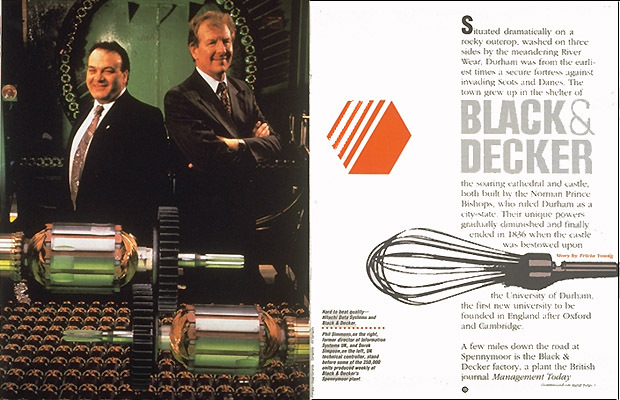 Eddy flew to England to photographer Black and Decker's IT staff at an assembly plant. Back in California we made a large transparency and we photographed the motors in front of the transparency. Done in pre PhotoShop Days. HDS and Banco Bradesco - Hitachi Data Systems sold mainframe computers to Banco Bradesco (one of the larger non US banks in the world). I flew to Sao Paulo to interview the chairman of the executive committee and write a story on how superior Hitachi equipment and service fit the banks business strategy. 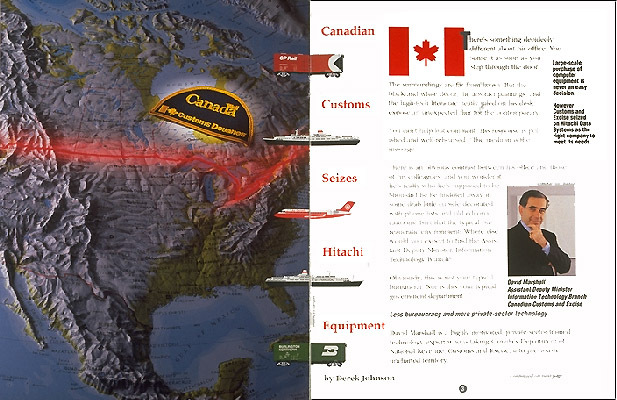 Canadian Customs - Canadian Customs seized on the idea of using Hitachi computers and my problem was how best to portray an international border? Working with photographer Ed Garrigues, we cut a relief map along the border and put a red gel under the map which rested on a light table. Over the map we placed a sheet of glass and smeared a line of Vasoline to diffuse the light. Corporate Magazine goes electronic - This is a sample page from the Hitachi Data Systems magazine reincarnated as a website. 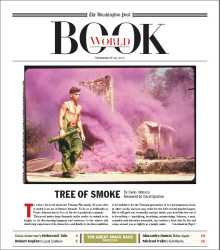 The subject of the story is IT at Brasil's Banco Bradesco. 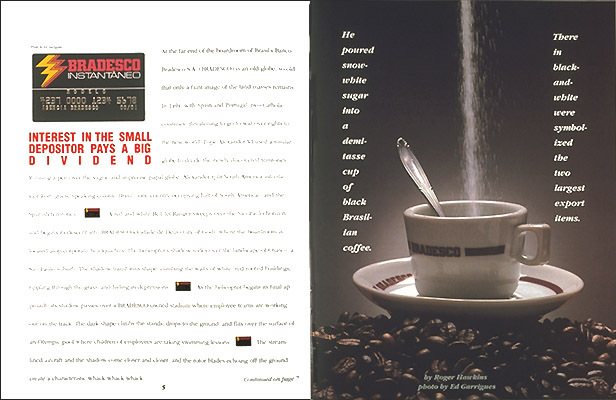 Art direction and concept by Roger Hawkins and montage illustration by Terry Eden. The illustration was created as a shadow box populated with pieces of Brasilian banknotes. 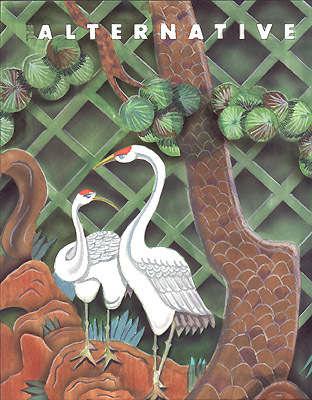 Korean theme for cover of National Advanced Systems magazine - When National Advanced Systems opened an operation in Korea I rendered this idea based on a slide of a pair of shutters from Korean traditional architecture. Rendered in marker and colored pencil. See next slide to see the direction I finally went. 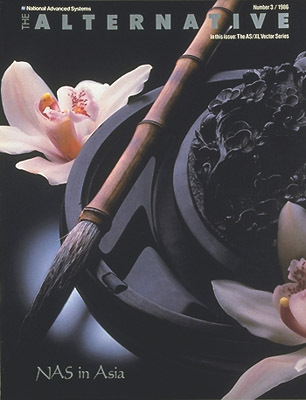 Alternative cover for the NAS "Alternative" - When I saw this traditional ink stone and brush a NAS employee brought back from Korea I was charmed by its photographic potential. The new idea won out over the wooden shutters (see previous picture). 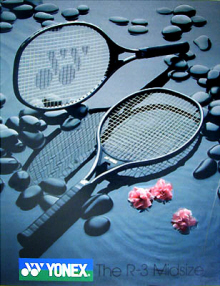 Book Design - Cover submitted to a self publishing house as a favor to the author. 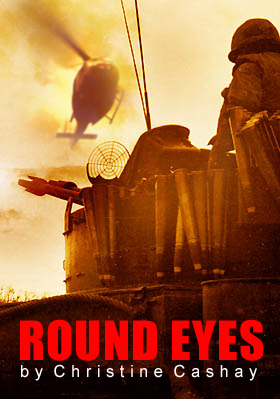 A novel set in the Vietnam war, but the publisher rejected the cover because their knock em out quick policy trumped historical accuracy or target audience analysis. 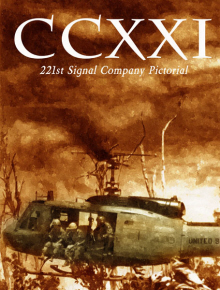 The cover that ran had no suggestion of combat, featured a modern corporate heli, and was set in Ha Long Bay in North Vietnam and not the South Vietnam featured in the book. 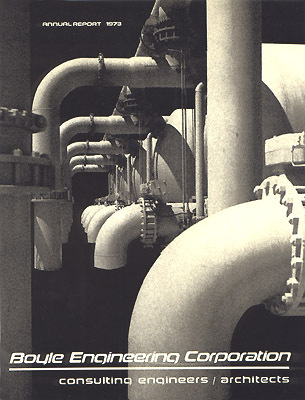 Montage and cover photos from original combat photography copyright 1969 by Roger Hawkins. International Combat Camera Assoc. 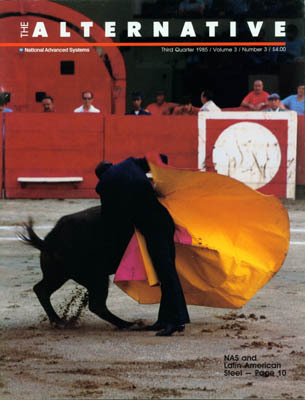 newsletter - A quarterly newsletter of the International Combat Camera Association. 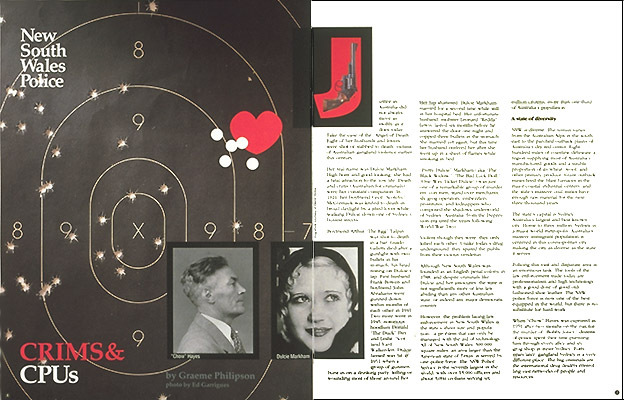 Publication Design by Roger Hawkins. 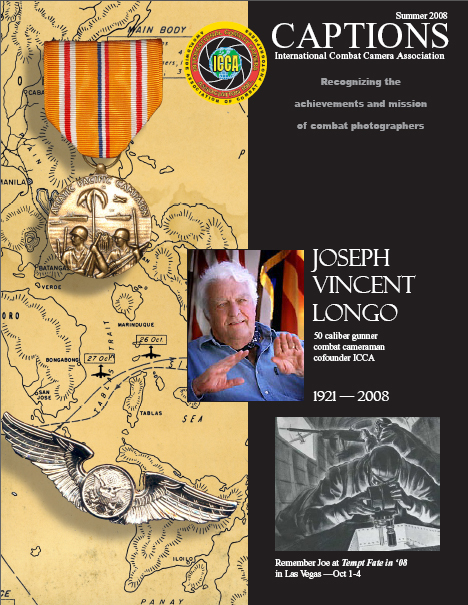 The photo of Joe Longo also by Roger Hawkins. 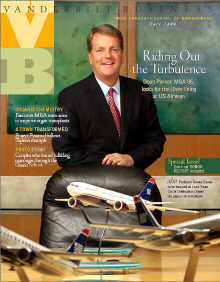 This issue commemorates the passing of ICCA cofounder Joe Longo. 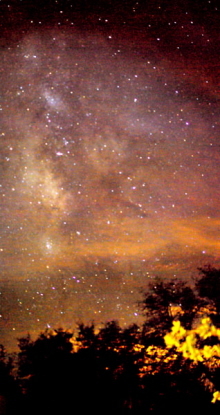 Photo of Joe Longo Copyright Roger Hawkins 2004. 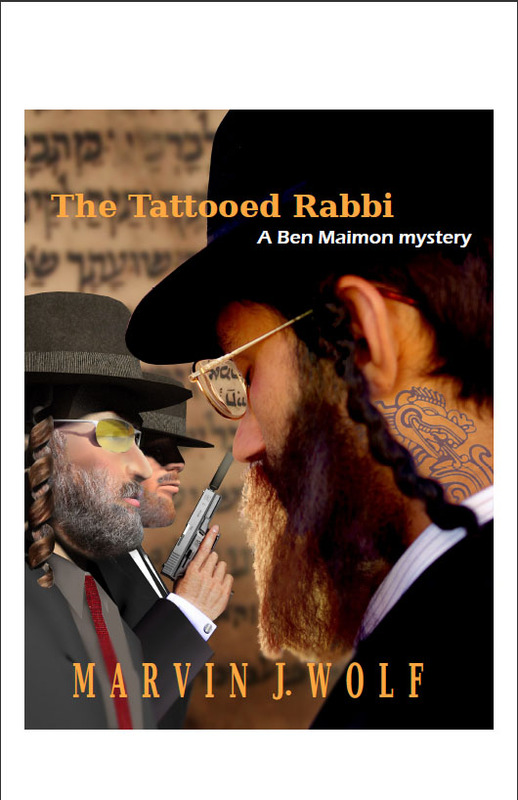 The Tattooed Rabbi - cover art - Cover solution for a mystery novel by Marvin J. Wolf. A collage of photography and computer models. Also a good read.